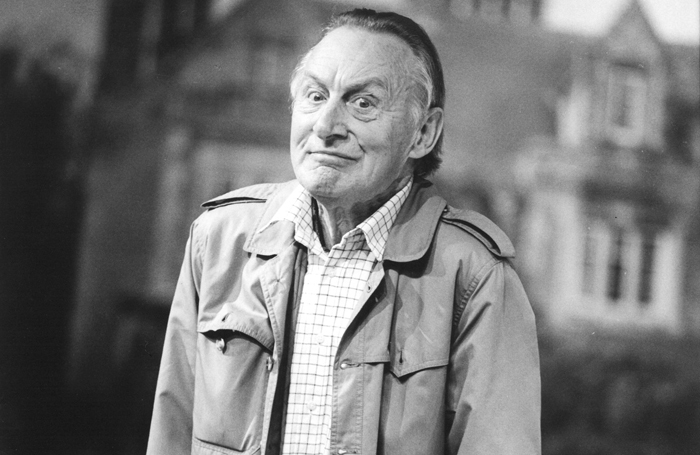 Geoffrey Bayldon, best known as television’s Catweazle and the Crowman in Worzel Gummidge, has died aged 93. His death on May 10 was confirmed in a statement released by the Catweazle Fan Club. A graduate of the Old Vic Theatre School, Bayldon had a successful theatre career before finding fame on the small screen, spending seasons at the Shakespeare Memorial Theatre – where he played Duncan to Laurence Olivier’s Macbeth in 1955 – and in regional reps in Glasgow and Birmingham. His West End appearances included a 1981 stage version of Worzel Gummidge at the Cambridge Theatre, Jean Anouilh’s The Cavern at the Strand Theatre in 1965 and Bob Larbey’s comedy A Month of Sundays at the Duchess Theatre in 1986. He was also seen at the Barbican’s Pit Theatre in Michael Hastings’ Unfinished Business in 1994. Of his more than 200 roles on television, he will be most associated with the eccentric and inept Norman magician Catweazle, thrust into the modern age and forever desperate to weave a spell that will return him home, appearing in 26 episodes from 1970 to 1971. He also lent a mysterious menace to the role of the sinister Crowman alongside Jon Pertwee’s Worzel Gummidge (1979-81) and had previously turned down the role of the first Doctor in Doctor Who, although he did later play the Time Lord in a number of audio recordings. He was last seen on television in an episode of My Family in 2010.